Super Air Zonk: Rockabilly-Paradise (ＰＣ原人シリーズ　ＣＤ電人　ロカビリー天国, PC Caveman Series: CD Cyborg Rockabilly Paradise) is the sequel to the 1992 game Air Zonk, and is part of the Bonk series of games. The game contains all new levels, assistants, and enemies, as well as a Red Book CD audio soundtrack consisting of rockabilly music. 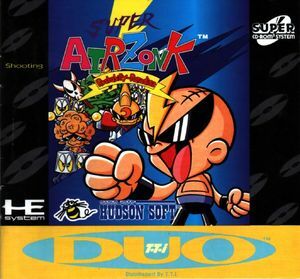 While the original Air Zonk relied heavily on multi-layer parallax scrolling, Super Air Zonk features mostly single plane backgrounds with a few exceptions. The graph below charts the compatibility with Super Air Zonk: Rockabilly-Paradise since Dolphin's 2.0 release, listing revisions only where a compatibility change occurred. This page was last edited on 28 December 2017, at 15:27.